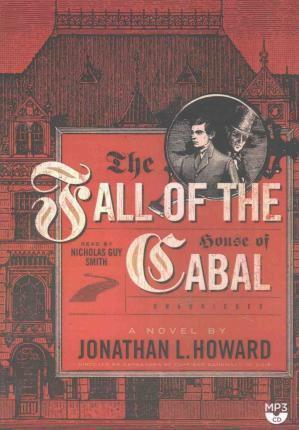 The fifth novel in the acclaimed cult-favorite series starring Johannes Cabal, necromancer. Johannes Cabal, a necromancer of some little infamy, has come into possession of a vital clue that may lead him to his ultimate goal: a cure for death. The path is vague, however, and certainly treacherous as it takes him into strange territories that, quite literally, no one has ever seen before. The task is too dangerous to venture upon alone, so he must seek assistance, comrades for the coming travails.Assisted--ably and otherwise--by his vampiric brother, Horst, and by the kindly accompaniment of a criminologist and a devil, they will encounter ruins and diableries, mystery and murder, the depths of the lowest pit, and a city of horrors--London, to be exact.Yet even though Cabal has risked such peril believing he understands the dangers he faces, he is still underestimating them. He is walking into a trap of such arcane complexity that even the one who drew him there has no idea of its true terrors. As it closes slowly and subtly around them, it may be that there will be no survivors at all.